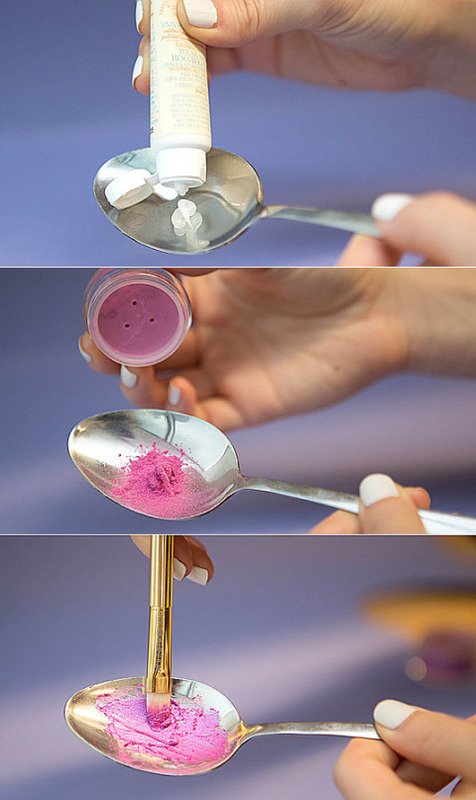 Make up is an art form. Everybody knows that, there are so many techniques and different styles that it’s easy to sometimes get lost within all the information, seriously gals, I don’t know how you do it. Just trying to remember how to use all the equipment, you should all be called doctors for all I know. I’m not the type to wear a lot of makeup, so a classy lipstick and maybe just a touch of mascara and i’m good to go. But my friends are deep in the makeup game and most of the trick in this article, are already old to them. 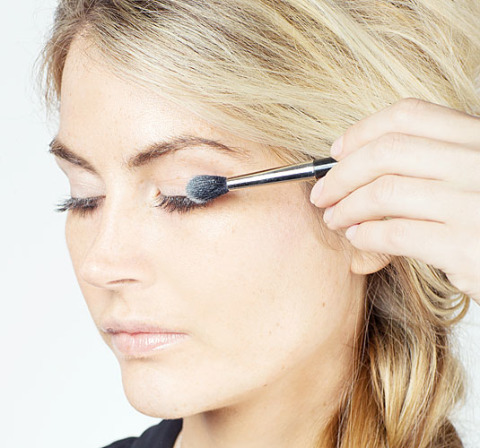 so we collected some amazing makeup tips that will make your next makeup session a little bit easier. 1. 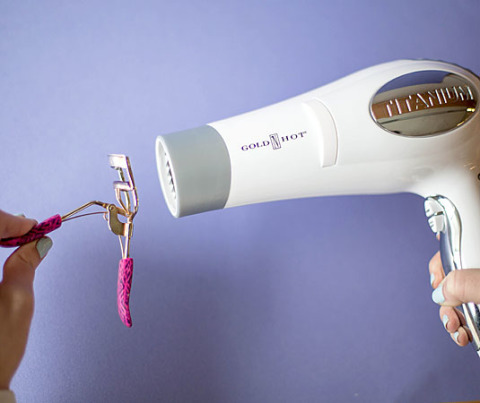 Heat up your eyelash curler with a hair dryer to make your lashes curl easier – Same principle as the curling iron, heat it up but wait for a second before applying to not burn your eyelid, apply it when it’s still a little bit warm to get the effect. 2. Draw an X on your upper lip first, then put the lipstick for a perfect Cupid’s bow – Use a lip liner in the same color of the lipstick for the X. 3. 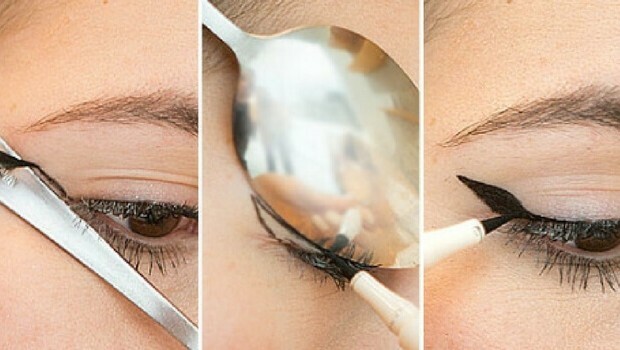 Use a spoon to a create a great winged liner – Hold the stem of the spoon against the outer corner of the eye and then draw the line, next flip the spoon so it’s hugging your eyelid to draw the rounded outer edge to create the perfect curved winged effect. 4. 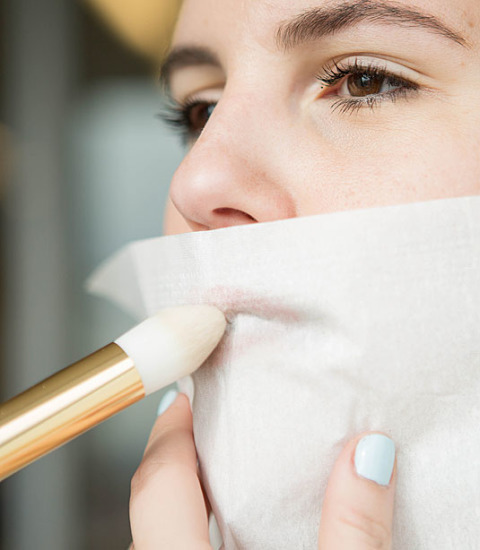 For a long lasting lip color, swipe on your shade and then lay a tissue over your mouth and dust translucent powder to set the color, you will be surprised by the results, it will not only make your lips bold shade it will last longer. 5. 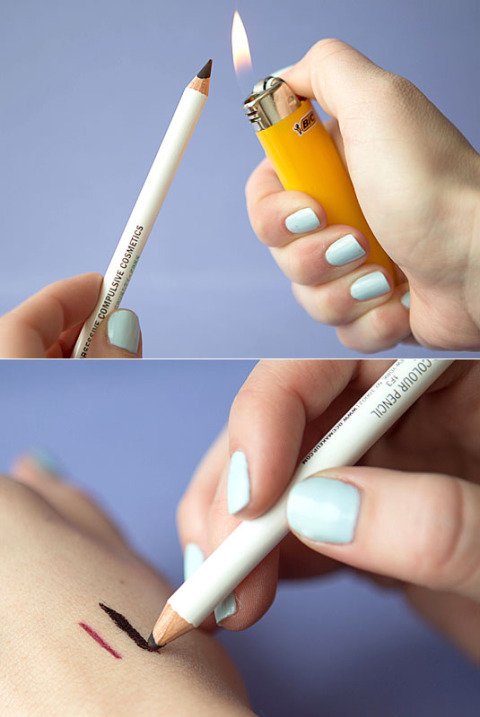 Make any eyeshadow shade pop with a white eyelid – Take a white eyeliner pencil and run it over your entire eyelid, the opaque consistency will make any eyeshadow shade pop amazingly! 6. Find exactly where your cheekbone is with a brush handle to make a contouring look natural, place it just under the actual bone for the right spot, then dust some bronzer with a contouring brush and then diffuse the color for a natural look. 7. 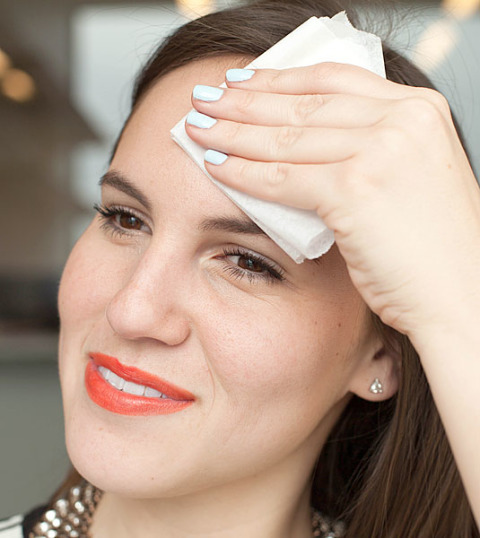 Use a clean toilet seat cover to blot your face in a pinch – This only sounds gross, but both blotting paper and toilet seat covers are made out of similar fabrics and will help soak up excess oil on your skin, so when in a pinch just know you can grab a clean toilet seat cover and pat it over your skin. 9. 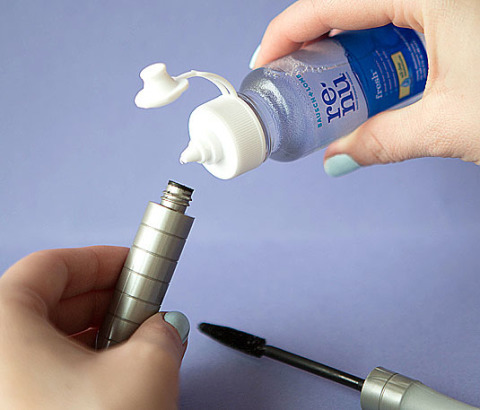 Add saline solution to a flaky mascara formula so you can re-wet it – Remember you can only use the same mascara for three months because after that bacteria adds up and can cause eye infection, but if within these three month your mascara dries up than do this trick to wet it out again. 11. Draw a slanted hashtag at the outer corner of your eye and only then blend it with a smudger for a perfectly smoky effect. 12. 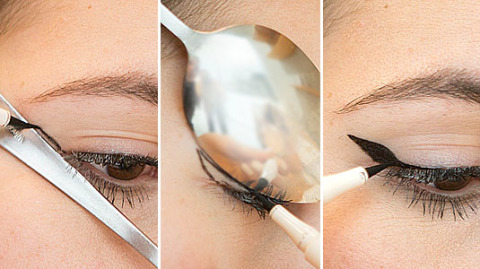 For a perfect winged liner draw your cat-eye first and only than fill in the open space. 13. 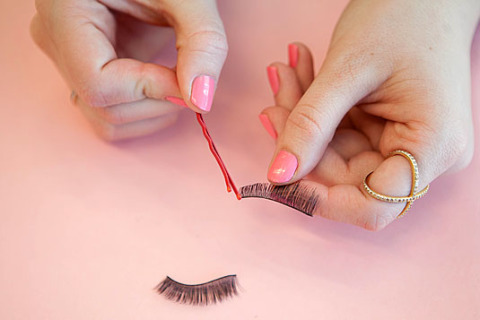 Use a tip of a bobby pin to apply eyelash glue to false lashes – Wait a few seconds for the glue to get sticky and then apply. 14. Turn your pencil eyeliner into a gel formula – Hold the pen under a flame for just one second, let it cool for a few more seconds before applying, finally a gel liner for an instantly smudgier formula. 15. 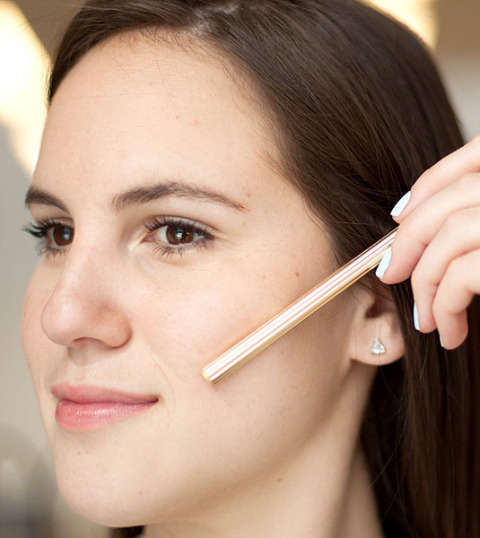 Map the contours of your face with a gel eyebrow pencil, it’s easier to apply and blend in – After you applied your base, mark the areas you want to contour, under your cheekbones, temples, along the hairline, jawline, sides of your nose and tip of the nose, crease of your eyes, take a deeply colored brow gel pencil because they are really concentrated yet very smudgeable. 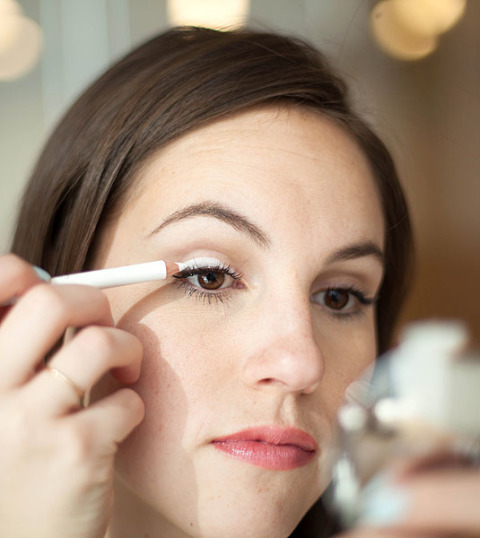 Next use an all over cream light highliner on the top of the cheekbones on the forehead the bridge of your nose the center of the chin and on your Cupid’s bow. 16. 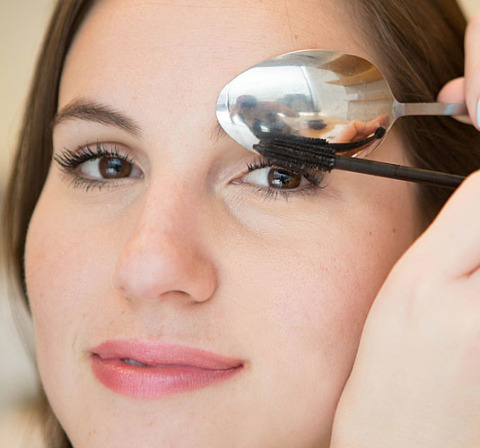 In between mascara coats dust on translucent powder to plump up your lashes – It help to grip the mascara and gives you fuller lashes. 17. 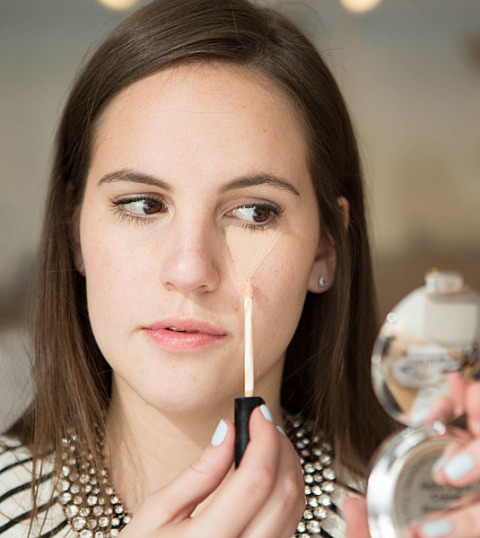 Conceal those annoying dark circles and puffy eyes the right way by creating a simple triangle with your cover up, this is the right way to do it ladies.